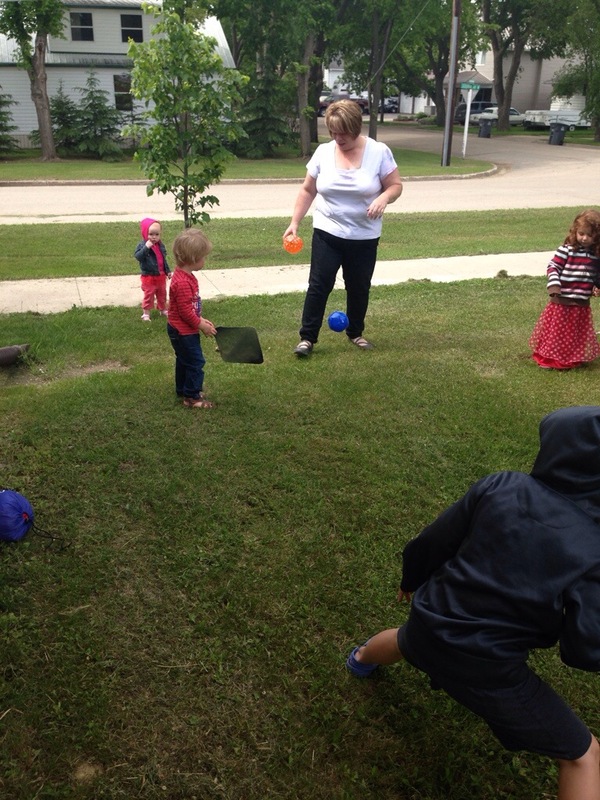 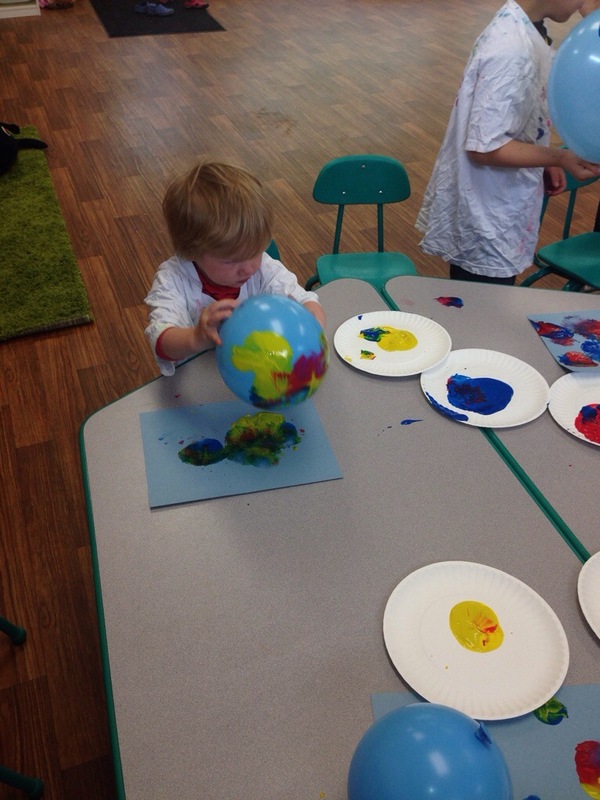 This week at our mini masters program we had lots of fun making a mess. 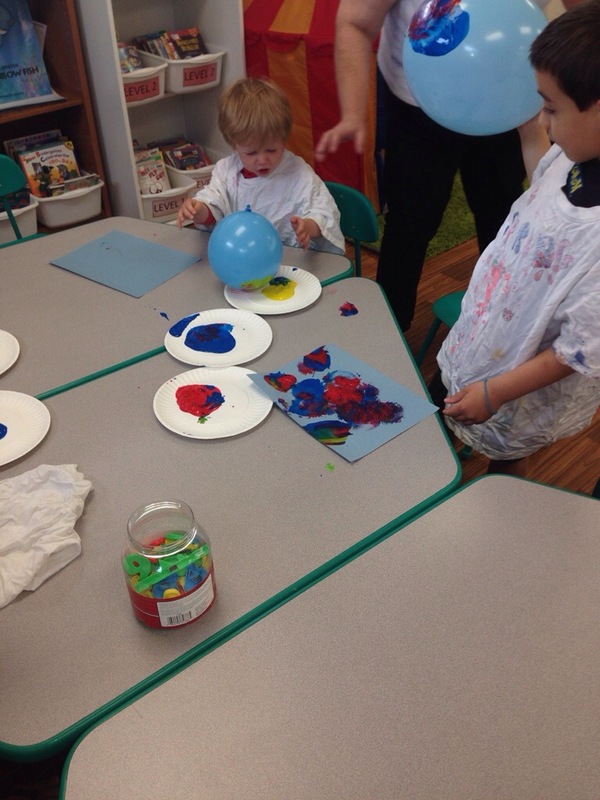 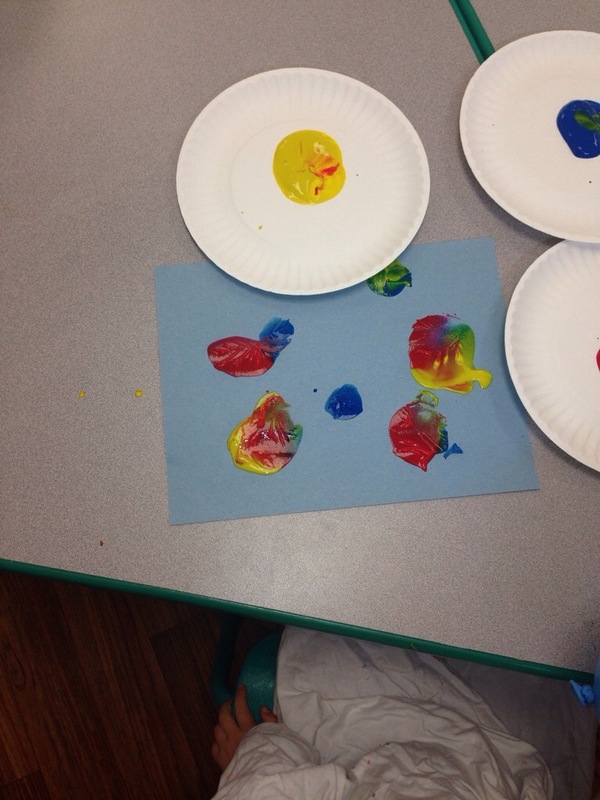 For our first craft, we made pictures by dipping balloons in paint and dabbing them onto paper. 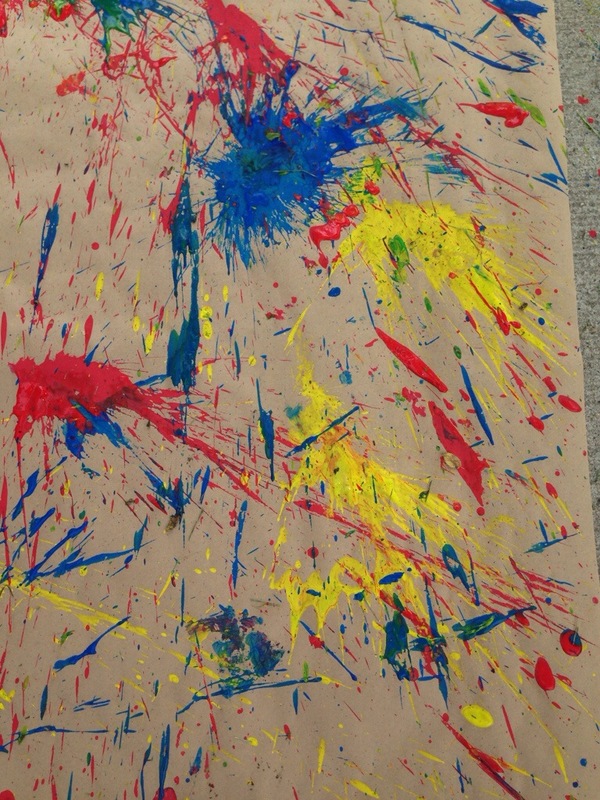 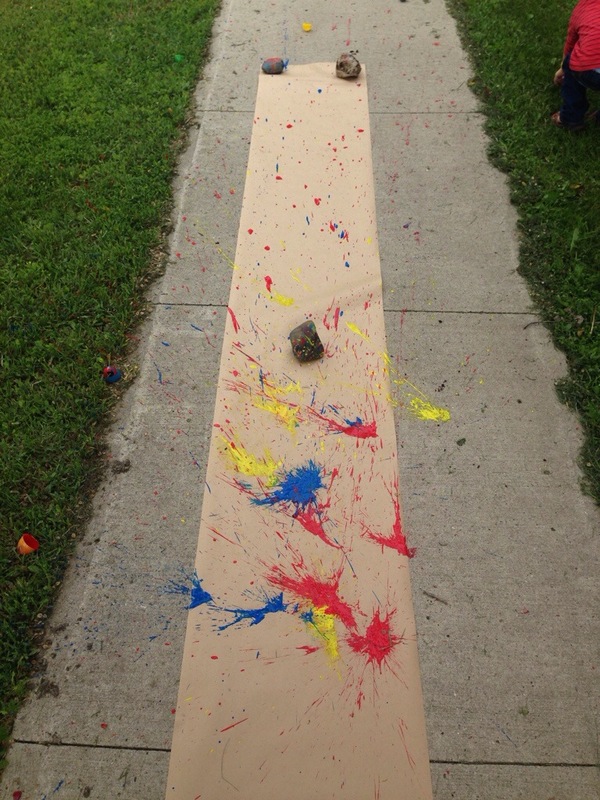 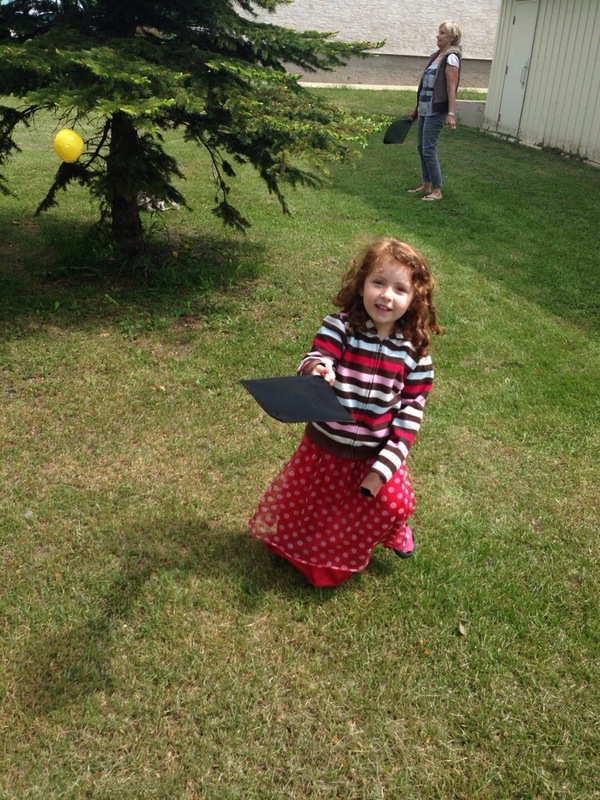 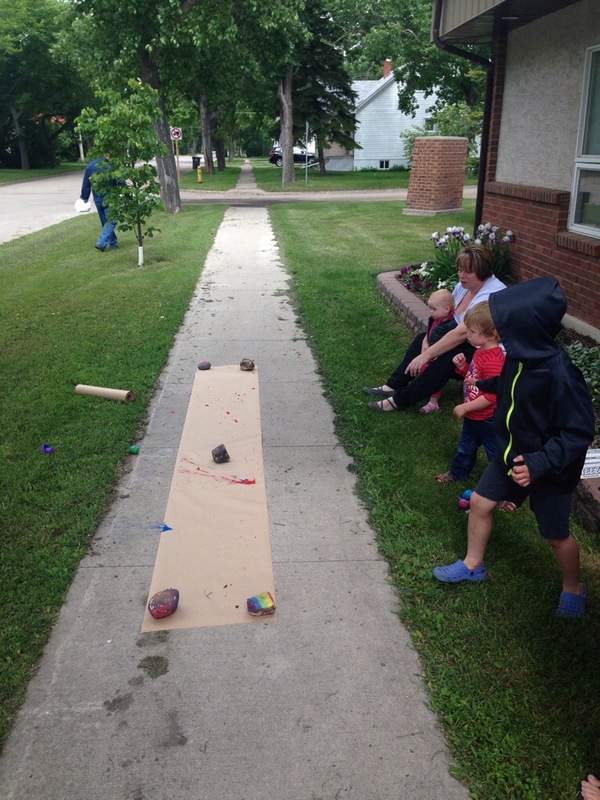 The next activity, we threw plastic eggs filled with paint onto paper and watched them explode! 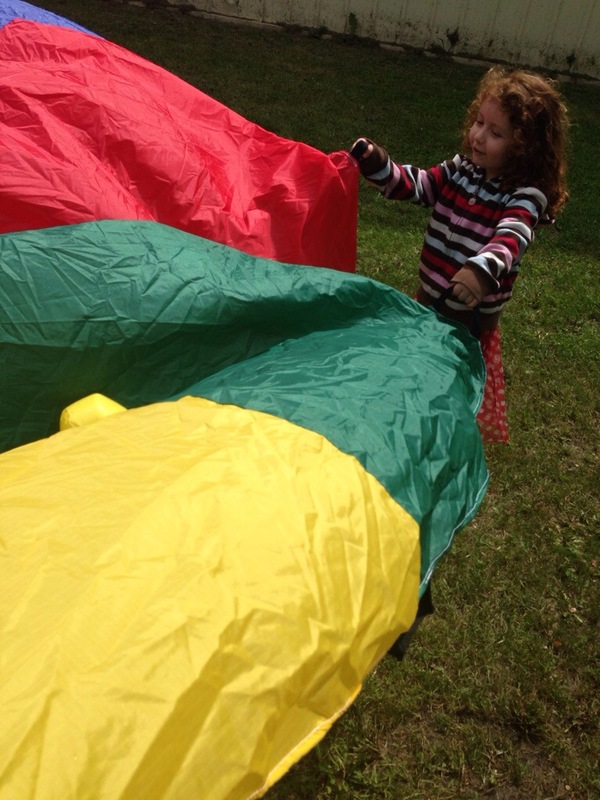 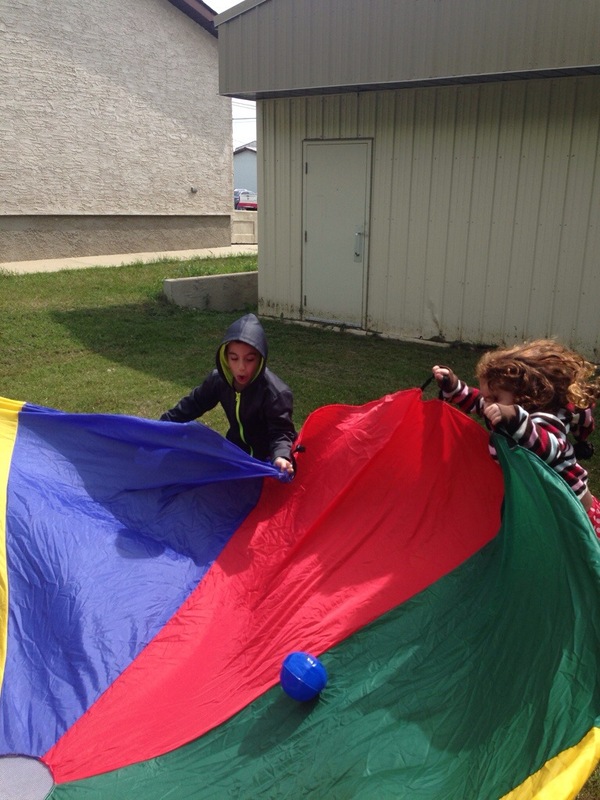 We finished off the hour playing with the parachute and hitting balls around.